Located at the Finger Lakes Race Track in Farmington, NY (near Rochester, NY). 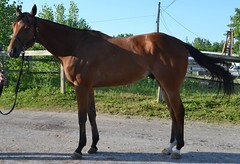 “Peanut” as he is lovingly referred to by his connections, is no peanut and would be a great pick for taller riders looking for to get into the world of OTTBs. 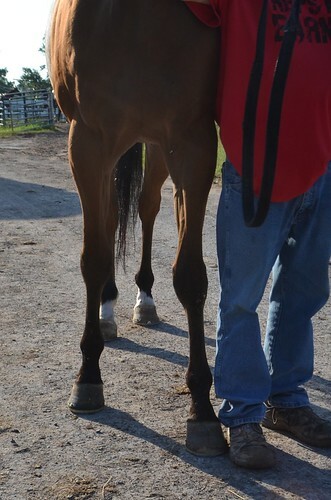 Peanut’s connections report he is “as sound as they come”. They also report he is a solid citizen who has no bad habits, is easy to work around, and has no vices. Peanut was very mellow during his photo shoot and stood quietly in the busy roadway while we took his pictures. 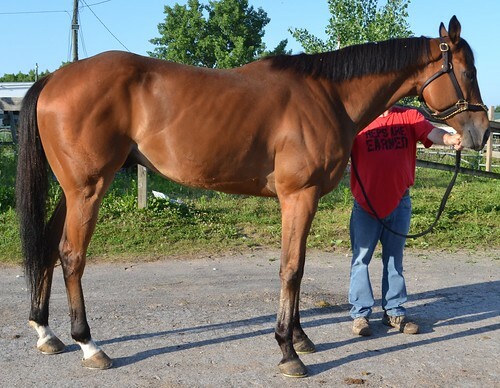 After a recent win, his trainer feels he will not be as competitive in the next condition, so he wishes to move him onto a different discipline while he is still sound and happy. Peanut jogged slowly for his video to be respectful of his handler, but he showed glimpses of a nice ground covering movement if he were to move out more. His trainer thinks he might be a good hunter, but surely he could go in many different directions. 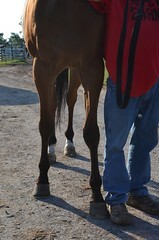 Peanut is by Afleet Alex out of a Dance With Ravens mare. 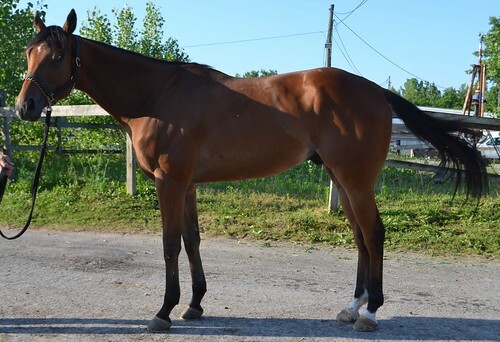 Big, sound, geldings are what many shoppers report they are looking for, so we suggest calling (or texting) quickly on this super sweet boy! He is RRP eligible. Price: $4500neg. Serious inquiries only. Contact: Call or text Kevin 585-698-8102. Please no calls after 5pm.